Office area with office desk, laptop and printer with wireless internet connection. Lounge has large suite facing wood fired fireplace and 42” flat screen TV hosting all the free to air channels including the local channel plus Foxtel connection. 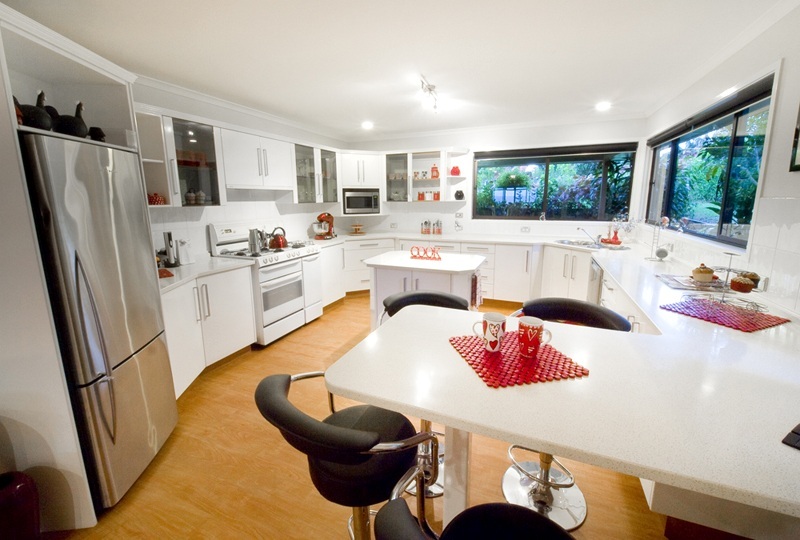 Kitchen is full size incorporating a breakfast bar and stools. Second entertaining area with two lounges, built in bar, pool table and two bar tables and bar stools. A dedicated children’s area with their own furniture, TV, DVD and toys. The dining area is set up with a large classical table with seating for 10. Gas BBQ and an outdoor bar setting. Selection of adults and children’s books, DVD’s, music and games. Set of men’s and ladies r/h golf clubs. 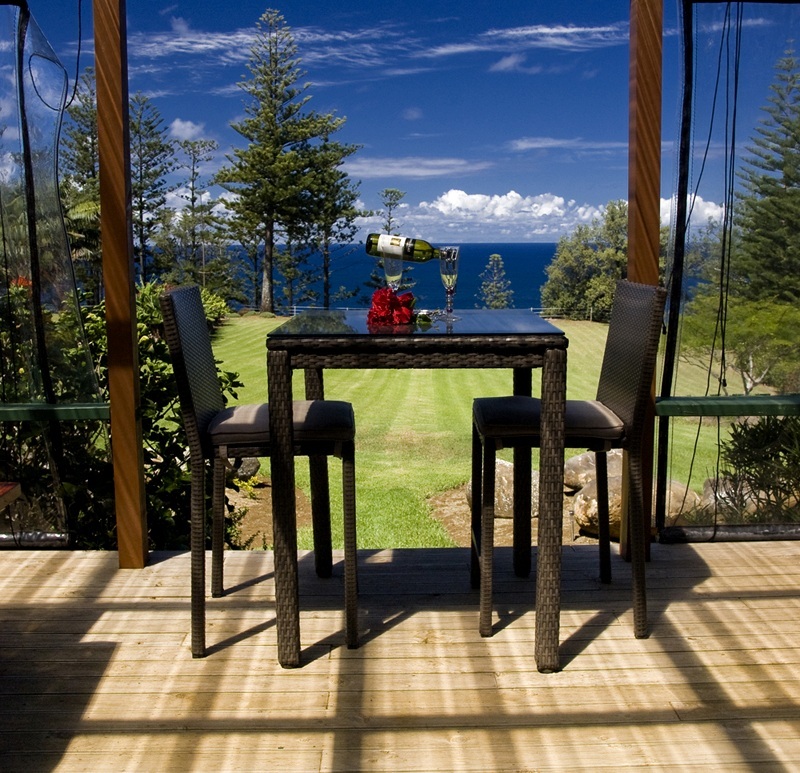 Rocky Point Lodge is a luxury cliff-top accommodation, with 3 private lockable bedrooms each with their own en-suites plus guest bathroom. 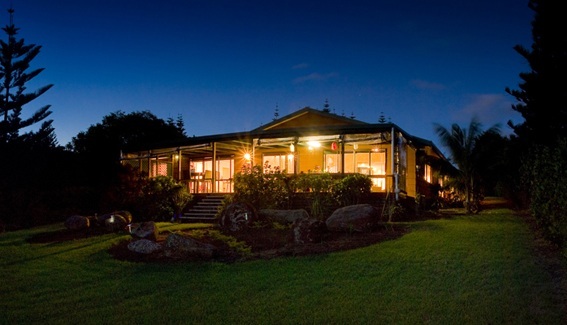 Rocky Point Lodge is an ideal place to relax for executives, honeymooners or anyone wanting a special holiday with family or a group of friends. Only 2 minutes walk to 100 acre reserve. "Great accommodation. The view is fantastic. Everything provided to make stay enjoyable. A CLASS ABOVE."